Creativeworld was exclusively appointed to develop the marketing material for this unique 7 property portfolio of high end commercial properties, which offered potential investors an unrivalled opportunity. 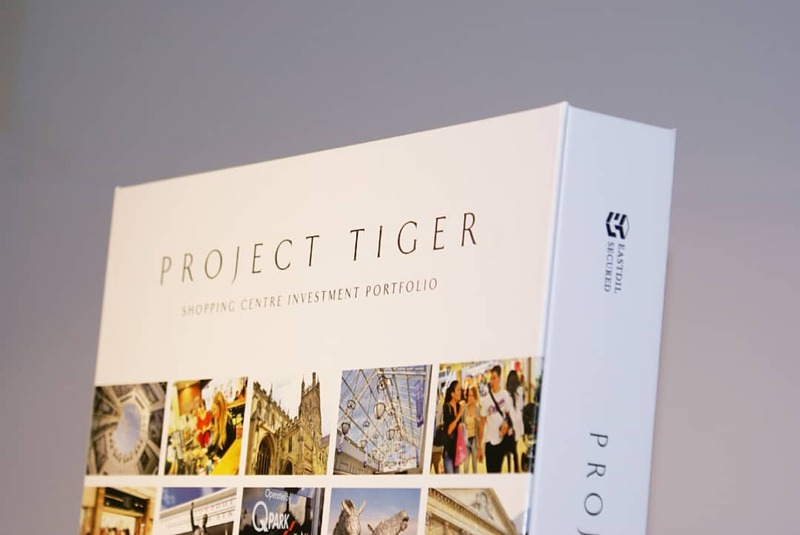 Project Tiger offered investors a unique opportunity to acquire seven established shopping centres in varying locations across the UK. The opportunity required a bespoke set of marketing particulars designing in order to bring it to the market on time and within the client’s budget. With a portfolio of this size and complexity the arrangement and fulfilment of photography was key. Each separate location required both aerial and ground level photography along with the design of individual maps and graphs. 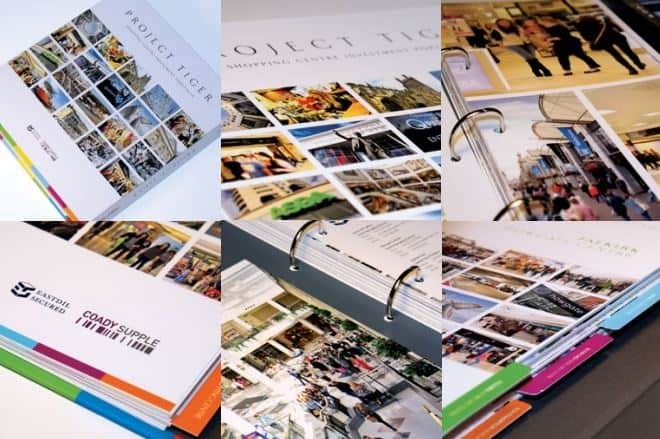 The photography was then used throughout the core design of all marketing particulars including a bespoke D-ring binder and summary brochure. 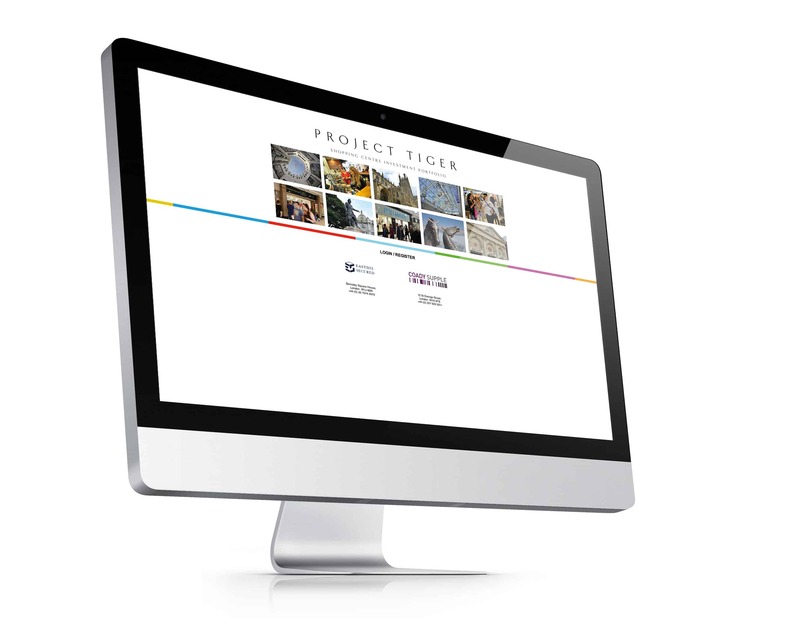 A unique website and secure data room was also created for the portfolio which was both designed and developed specifically for the investment. The digital work, which was all produced by our in house team, was also made mobile friendly ensuring all information and documents were available at all times.